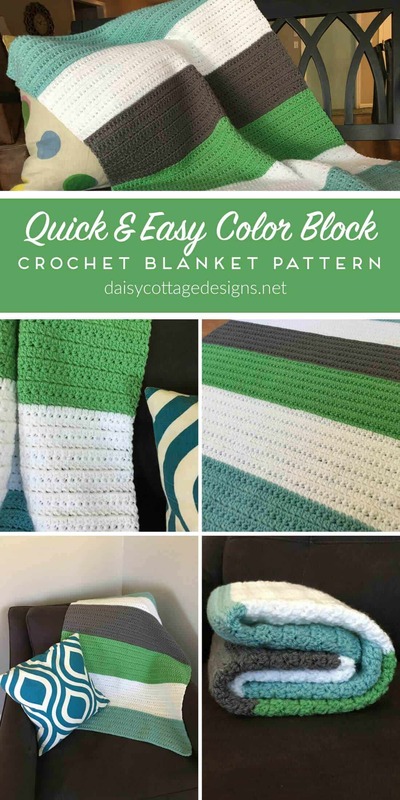 I have always loved a bright and beautiful color block crochet blanket. 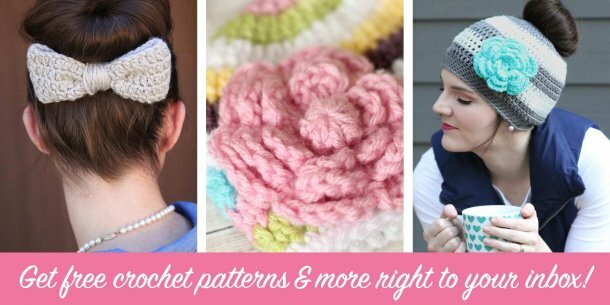 So many of the crochet patterns I have found, though, are painstakingly slow. 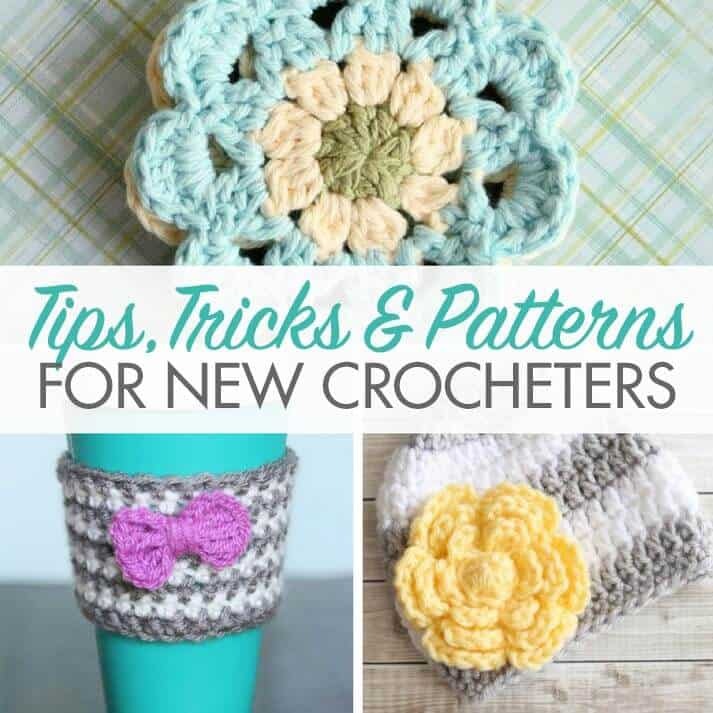 These blanket tutorials often use single crochet stitches and those blankets end up taking forever. With my severe case of Crochet Pattern ADD, I tend to get derailed and move on to other, quicker projects. Last week, though, my order of Paintbox Yarns (affiliate) arrived. 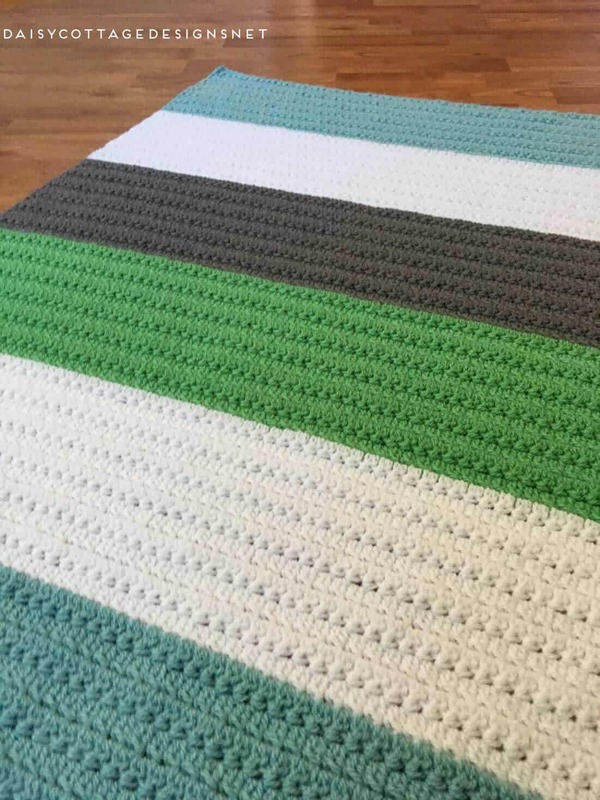 As soon as I saw the beautiful colors, I knew that I had to make a color block crochet baby blanket, no matter how long it took. This blanket worked up SO quickly. Each color block took me about an hour. My blanket measures approximately 30″x40″, too, so it’s not a tiny blanket by any means. Can’t male this crochet baby blanket right now? Add it to your queue on Ravelry. 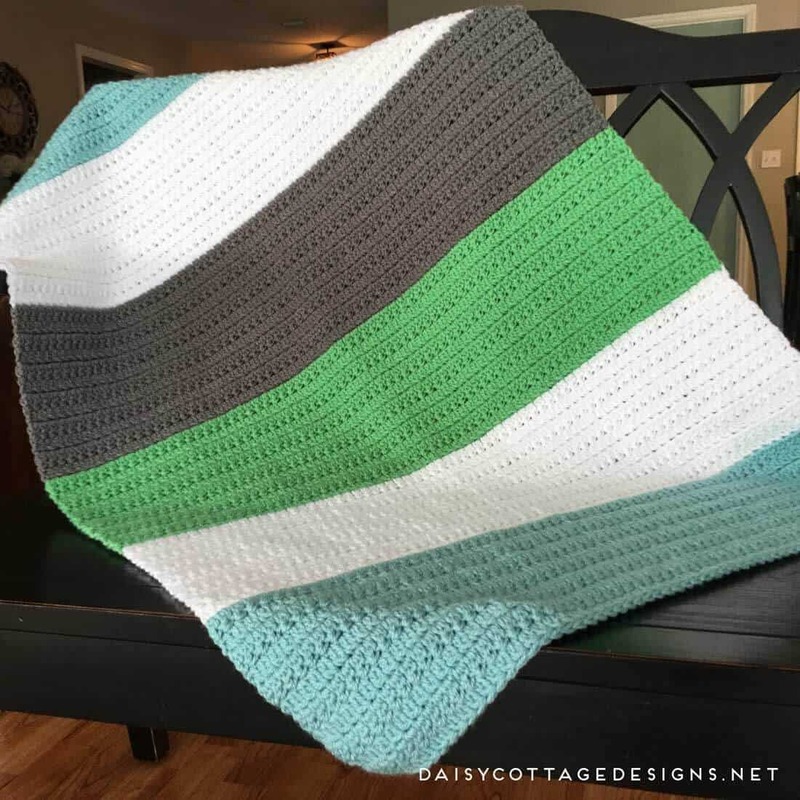 If you’ve been wanting to make a crochet baby blanket using beautiful blocks of different colors, but have struggled with the time that it would take, I encourage you to give this crochet pattern a try! 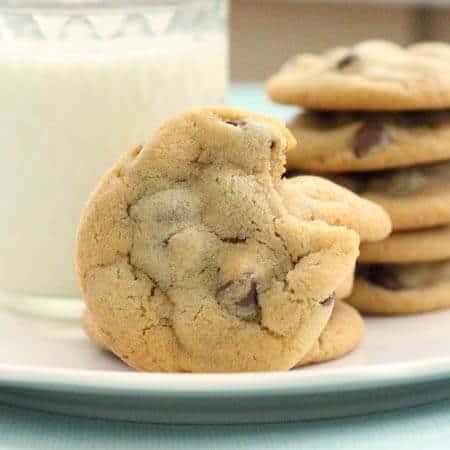 It’s quick, easy, and fun to make. 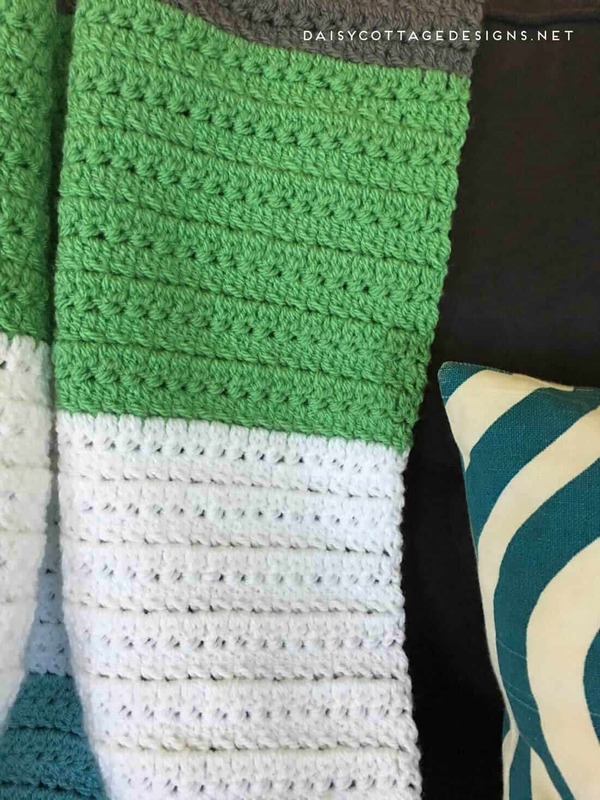 The stitch pattern is dense and it makes a squish, supple blanket that you’ll love! Want to make a bigger blanket? No problem. Instructions are included below for making this blanket any size you like. 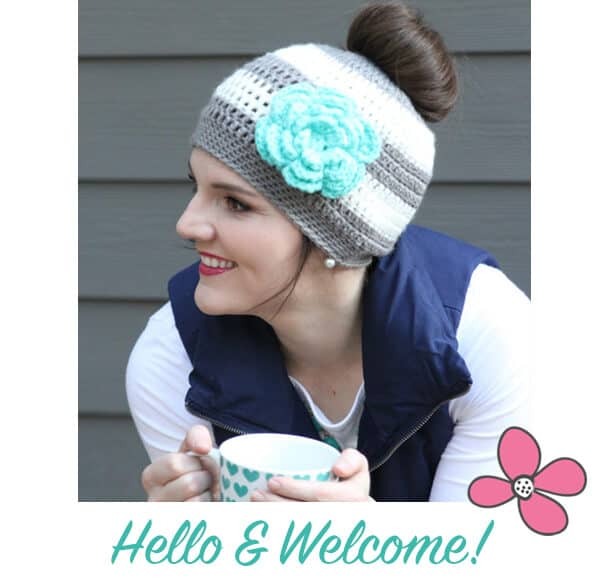 If you’d like to purchase an ad-free version of this pattern, it’s available here for $2.50. 6 skeins of Paintbox Yarn (I used 2 skeins of Washed Teal, 2 skeins of Paper White, 1 skein of Slate Gray, and 1 skein of Spearmint Green). If you’d like to use a different yarn, you’re going to need approximately 205 yards for each block of color or 1230 yards for the entire blanket. To make this pattern larger: increase your starting chain to the desired width. This pattern works with any chain length. Then, work until the blanket has reached your desired length. If your blanket is much wider than mine, you’ll want to use two skeins of each yarn for each color block. dc2tog: yarn over, insert yarn into stitch, pull up a loop. Pull through two loops. Yarn over, insert hook into same stitch, pull up a loop. Pull through two loops. Pull through 3 loops. Row 1: dc in the third chain from hook. dc2tog in each stitch across. Ch 2, turn. (You should have 1 dc and 69 dc2tog). Rows 2-11: dc in the first stitch, dc2tog in each stitch across. Do NOT work into the turning chain in this row or any other. Ch 2, turn. Row 12: dc in the first stitch, dc2tog in each stitch across. Cut yarn, and weave ends. Row 13: Join yarn using your preferred method. Ch 2. dc in the first stitch, dc2tog in each stitch across. Ch 2, turn. Rows 14-23: dc in the first stitch, dc2tog in each stitch across. Ch 2, turn. Row 24: dc in the first stitch, dc2tog in each stitch across. Cut yarn and weave ends. 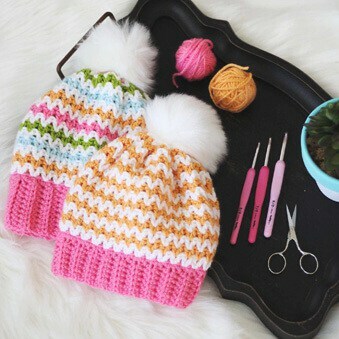 Continue working 12 rows of each color until you reach your desired length. My blanket is 72 rows long (6 color changes). Your Ravelry link did not work for me but I found it anyway. Thanks for the great pattern! Oops! Thanks for letting me know. I’ll check it out. These colors are darling together! Thank You for the pattern! 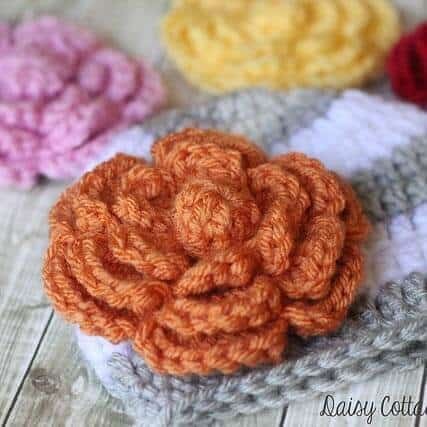 What is the brand of yarn used in this project? I used Paintbox Yarns Simply Aran. 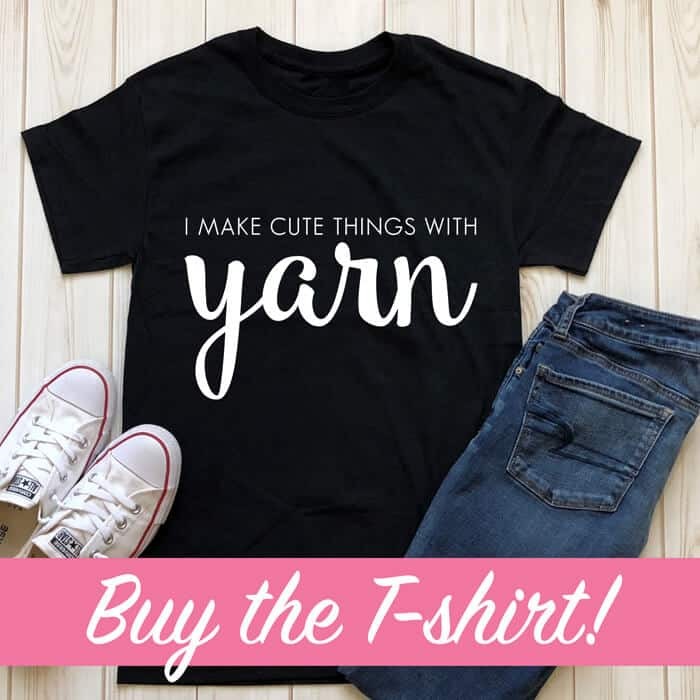 Did you use cotton yarn or acrylic? Yes! If you chain tightly, the first row will look especially wavy. You could definitely start your chain with a larger hook to help prevent this.